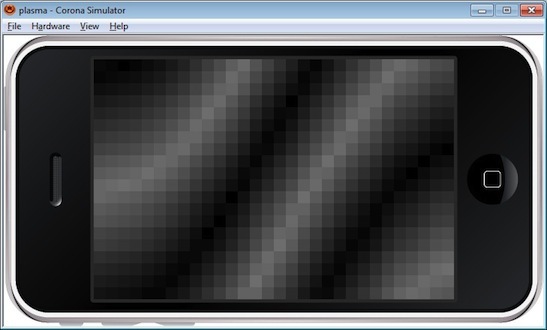 My third sample with the Corona SDK is something I called the Colour Canvas. 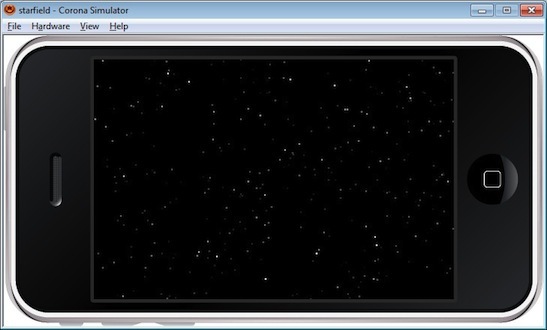 The second entry into my corona samples is another traditional demo effect – the Starfield. To kick start my Corona Samples is a port of an old demo effect – a traditional plasma. 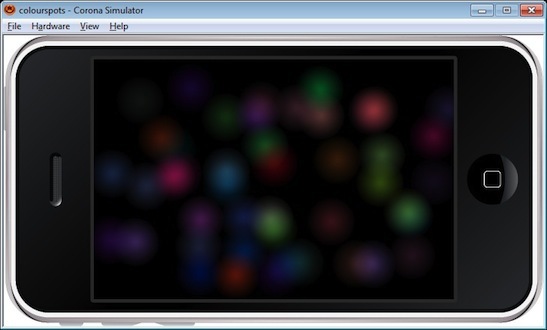 For the last month I have been playing with the Corona SDK for iPhone and Android mobile development. After spending a few weeks (before that) looking at different SDKs and engines for the iPhone and Android, I decided to push ahead with Corona and see what I can come up with. What I love about Corona is it’s lua based – which is something I’m familiar and comfortable with. The goal at this stage is to develop my own game for a portable device. Since I am getting to grips with the Corona SDK, I have decided to put together a number of samples along the way, to help get myself into the SDK. As I go, I will post up source available for download. Some of it you will find useful, some you will wonder why I bothered – but at the end of the day, I’d like to learn as much as I can about it and will share as I go. With today being a public holiday (Australia Day), I decided to spend an hour in the garage cutting some holes out for the handles and coin door. I had been debating with myself about the value of handles on each side of the cocktail. In the end I figured they would be useful for moving it around (since there will be no wheels). I like that it will also mean people won’t need to lift the cocktail by the top panel, and instead just use the handles which should avoid any stress on the table top panel. 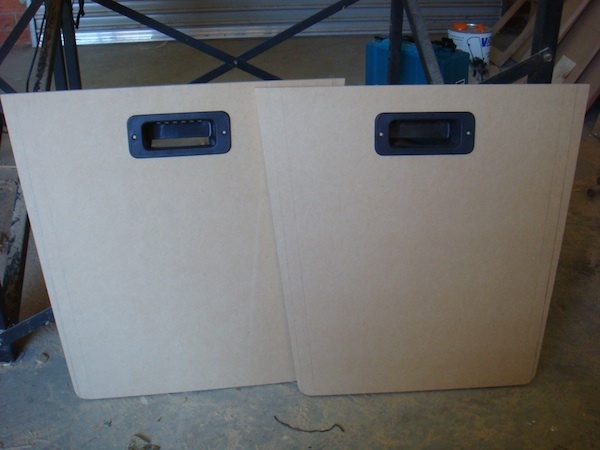 The handles are a vented set – I used the same ones on the door of my pac man cab – so will add some passive ventilation. They are also set into the panel itself, meaning there is nothing sticking out. The black colour will also fit in well with the DK theme.